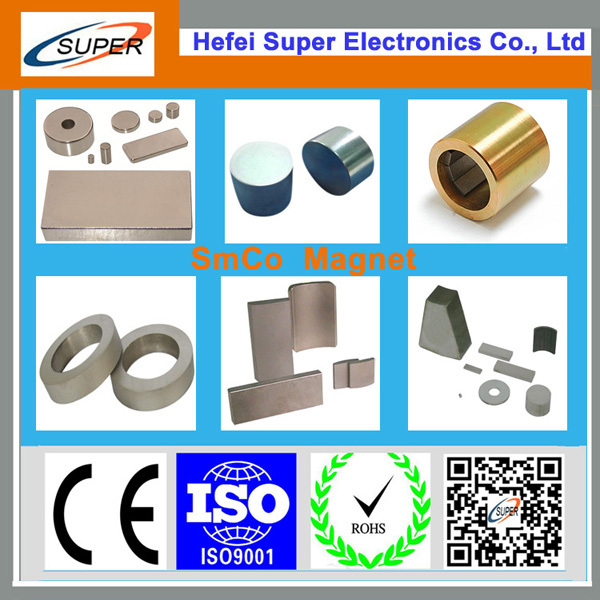 Samarium cobalt magnets (magnetic force is still excellent), also known as samarium cobalt magnets, samarium cobalt permanent magnet, samarium cobalt permanent magnets, rare earth cobalt permanent magnet and the like. 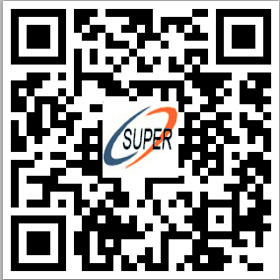 Is composed of samarium, cobalt and other metals by the ratio of rare earth materials, dissolved Tempered alloy, by crushing, pressure-type, made of a magnetic material after sintering with high energy product, low temperature coefficient, the maximum operating temperature up to 350 ℃, negative temperature is not limited, when the operating temperature above 180 ℃, the maximum energy product and temperature stability and chemical stability are more than NdFeB. With strong anti-corrosion and oxidation resistance; it is widely used in the aerospace, defense industry, microwave devices, telecommunications, medical equipment, instruments, meters, all kinds of magnetic drives, sensors, magnetic processor, electrical, magnetic crane Wait. Samarium cobalt magnet production processes: melting of ingot ingredients → → milling → → sintering temper pressure type magnetic detection → grinding → → → finished pin-parallel. 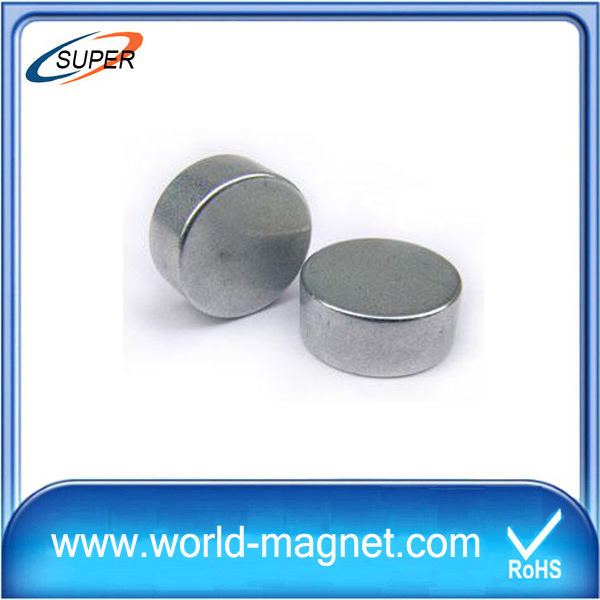 These alloys are generally in the processing of a non-magnetic state. SmCo finely ground by a wet (water cooling) and diamond grinding wheels. This process is necessary if the drill hole or restrictions other functions. Milling waste must not be completely dry, because samarium cobalt has a low flash point. A small spark, such as production with static electricity, you can easily burn. Temperature fires will be very high, and difficult to control.